On March 30th, 2017, something extraordinary happened: For the first time in aerospace history, a previously flown orbital-class rocket was launched for another mission after being recovered and refurbished by its owner, SpaceX. The industry said it wasn’t possible. Elon Musk said otherwise. For over 60 years, these rockets, considered to be the most technologically complex machines built by humans, have suffered the same dismal fate: a permanent ocean grave after being fired off just once. That idea, and the way we’ve handled space travel over the course of aerospace history, has left us with staggering costs and an unclear path toward exploring the cosmos. Can Elon Musk and his spaceflight company turn that around? They are certainly trying. on June 23rd, three months after the first historic reflight, SpaceX would prove that its reusable rocket was no one-hit wonder. The company successfully launched Bulgaria’s first geostationary satellite to orbit on its second refurbished Falcon 9 booster. SpaceX was even able to recover both flight-proven boosters a second time on its robotic drone ship parked off the coast of Florida, the Of Course I Still Love You. Both of SpaceX’s flight-proven boosters have been launched from the historic Launch Complex 39A at NASA’s Kennedy Space Center which Elon Musk refers to as the “Times Square” of launch pads. The pad saw the liftoff of Neil Armstrong and Buzz Aldrin to walk on the moon and Space Shuttle missions to place the Hubble telescope and assemble the International Space Station. SpaceX plans to use Pad 39A to one day launch humans to Mars aboard the company’s Interplanetary Transport System. SpaceX is poised to its third flight-proven Falcon 9 booster on October 2nd for Luxembourg-based communications firm, SES. The company was the first to entrust SpaceX and its then-unproven reusable rocket back in March. A routine hold-down test fire of the reusable rocket will occur at Kennedy Space Center on September 29th. If SpaceX succeeds in completing the SES-11 mission with a flight-proven booster––and bringing that booster home again, that will put the company at 17 total landings both at sea and on land at Cape Canaveral. SpaceX has already launched more times in 2017 than it has in any year since its founding (50% more) and is the leading launcher this year, passing the Russians. After SES-11 launches in October, SpaceX will have completed an unprecedented 14 missions this year. Because of the company’s recent success, SpaceX is now valued at around $21 billion––making it one the world’s most valuable companies. So what’s next? First, to continue perfecting the reusability of its Falcon 9 rocket. Elon Musk says they are aiming for a 24-hour turnaround from launch to relaunch of a single booster which means very minimal refurbishment after launch. SpaceX must also increase its rate of launches and especially the rate of reusable rocket launches because they spent about a billion dollars developing the ground-breaking technology. SpaceX must chip away at that debt before seeing actual savings from reusing rockets and passing those savings onto customers. SpaceX is also looking into recovering more parts of the rocket, like the nose cone that houses that payload during launch––worth around $6 million. 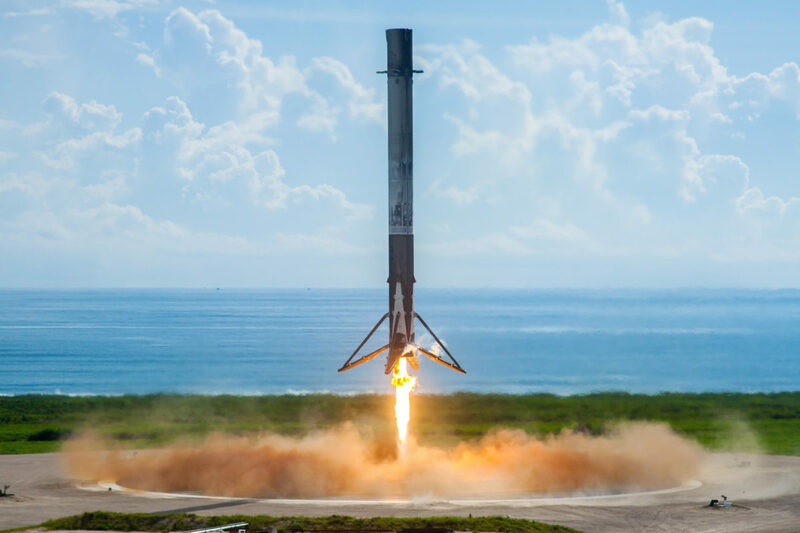 Reusability is key to SpaceX’s long-term vision of increasing humanity’s access to space and expanding our presence throughout the solar system. Elon Musk says that if there’s not a dramatic reduction in the cost of space travel, colonizing other worlds like Mars is simply not possible. Not throwing away a machine worth tens of millions after just one use is a pretty obvious way to save some cash. SpaceX’s ultimate vision of building a human city on Mars and regularly transporting people there depends entirely on reusable spacecraft hardware. By the time SpaceX is ready to launch humans to Mars, a rocket launch should be as common as a commercial airliner leaving the airport––a comparison Elon Musk has made quite a few times. The company’s envisioned Mars-bound Interplanetary Transport System is based on full and rapid reusability because after all, people may want to come back. SpaceX will soon take its first steps into deep space exploration that will lead to its Mars ambitions. 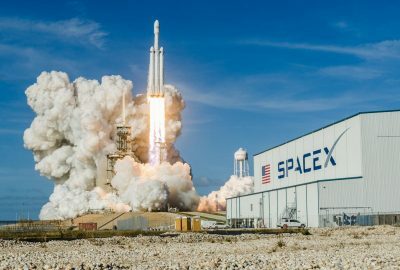 After the company launches SES-11 from Kennedy Space Center on October 2nd, SpaceX will begin to renovate Launch Complex 39A to support its heavy-lift rocket, the Falcon Heavy. The powerful triple-booster rocket will be capable of launching humans back to lunar orbit and even science missions to destinations like Jupiter’s watery moon, Europa. SpaceX is targeting late November for the Falcon Heavy test flight and the best part? SpaceX will attempt to fly all three of the monster rocket’s boosters back to Earth following its launch. Two will land on ground at Cape Canaveral while the third touches down on the drone ship.